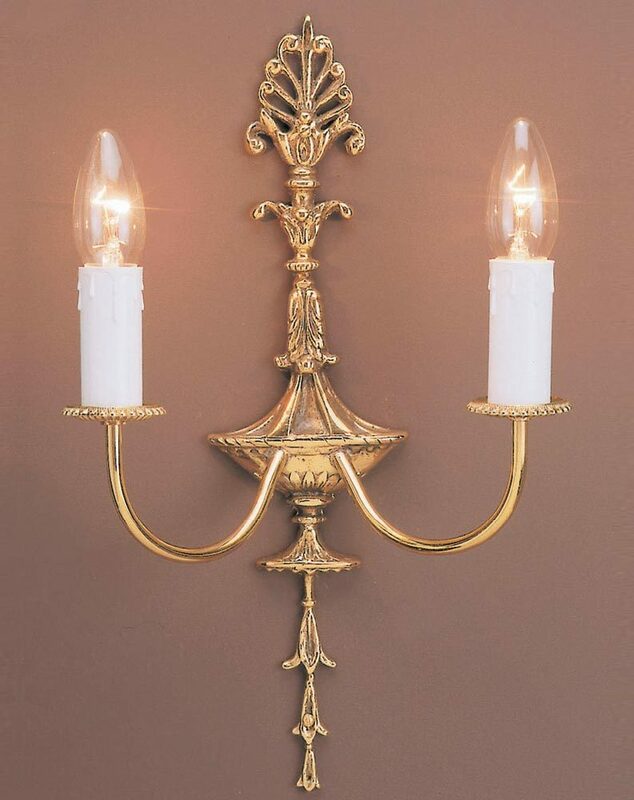 This Impex Eden tall solid polished brass traditional 2 lamp wall light is part of the Brooklands prestige lighting collection. A handmade twin wall light, with tall intricate cast wall mount, splayed curved lamp arms, detailed metal candle pans and candle tubes. 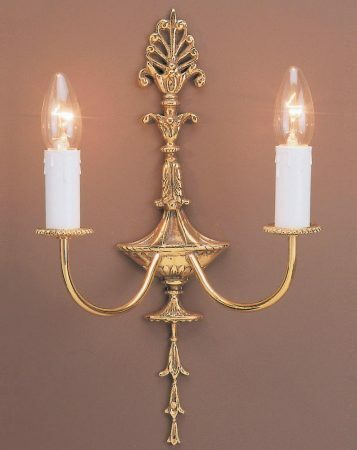 The wall mount is a particular feature, with central oil lamp mount, top feathers and drop finial detail. Impex Lighting are one of Europe’s leading manufacturers who supply a comprehensive ranges of fittings in contemporary, traditional and classic styles like the Eden tall solid polished brass traditional 2 lamp wall light featured here.